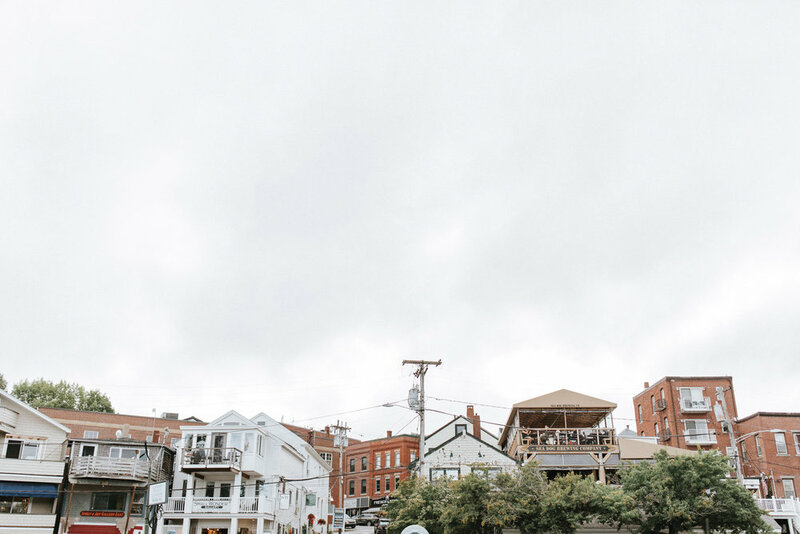 On assignment, we sent visual storytellers Courtney Elizabeth and Jamie Mercurio of the travel blog Root + Abound to the midcoast on a mission of design discovery. We hope the joyous, adventurous spirit infused in this day trip inspires you to hit the road for an exploration of your own. You never know what you might find. In search of design with that Maine touch of creativity and solid craftsmanship, we visited a custom hardware maker and four boutiques that each offer their own unique take on clean, modern aesthetics in everything from handcrafted housewares, artwork, and furniture. And then we refreshed ourselves at a boutique hotel with soul-stirring views of Rockland Harbor. We meet Elliot Lowe in the Rockland machine shop of Lowe Hardware, a design-and-fabrication company founded by his father, Bill, 41 years ago. Elliot’s incredibly passionate about what he does and with whom he works. After composing a wish list for hardware to fill out our newly imagined kitchen and home remodels, we head into downtown Rockland and Periscope, a shop with cool, contemporary art, furniture, and handcrafted tapestries. The carefully curated collection tells a cohesive story, one we’d like on our own walls and in the design of our lives. We love a good boutique and fourTWELVE is a gorgeous one with hip styles that span all ages. We head for the last place on our list—Sugar Tools, an eclectic and artfully curated shop in Camden where you can find anything from gardening tools to handmade ceramics to amazing natural skin-care products. The common thread at each of the spots we visited: We met the kindest, knowledgeable shop owners and workers. It made our hearts full and reminded us why we live in Maine—the people are unlike those anywhere else! After all that shopping, we need a break, so we head to 250 Main, a boutique hotel in downtown Rockland. Up on the rooftop deck we take in the spectacular view of Rockland Harbor and begin to hatch a plan for next month’s Drive.